1. 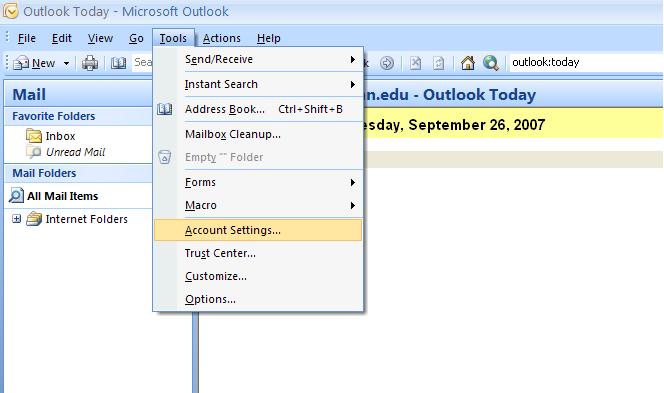 Open Outlook 2007 and click "Tools" in the menu bar, then select "Account Settings." 2. In the "Account Settings" window, from the E-mail tab click on the "New" button. 3. 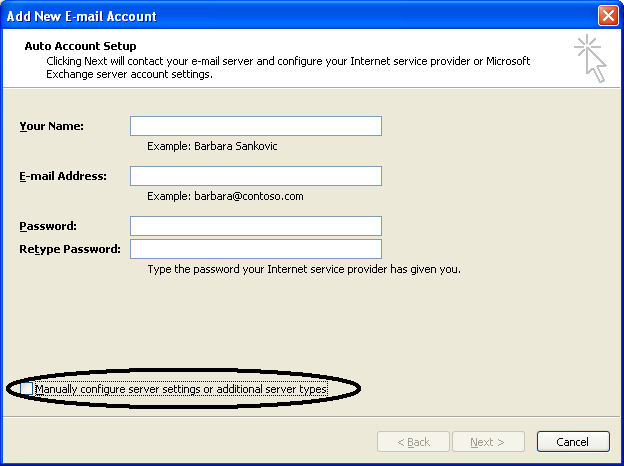 On the bottom of the "Add New E-mail Account" check the box for "Manually configure server setting or additional server types", then click "Next >". 4. 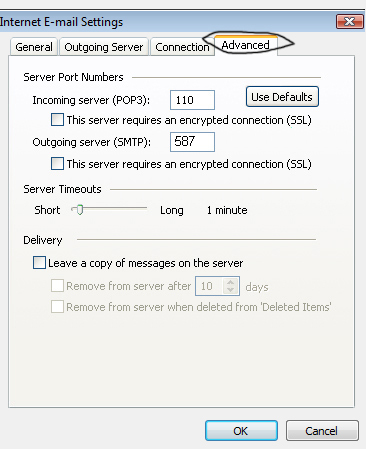 Make sure that "Internet E-mail" is selected then click "Next >". 5. 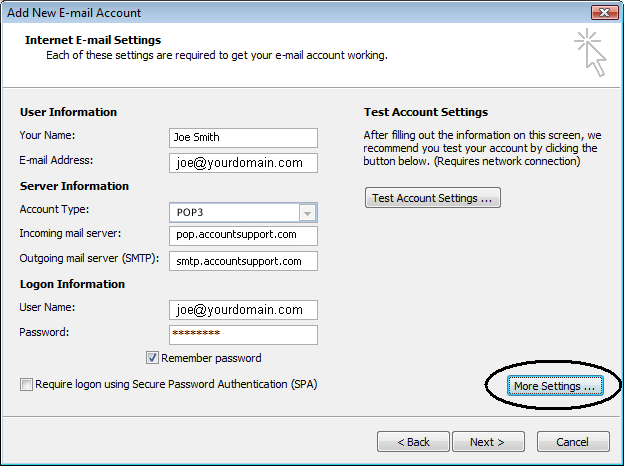 In the "Add New E-mail Account" window fill in the below setting and then select the More Settings button. 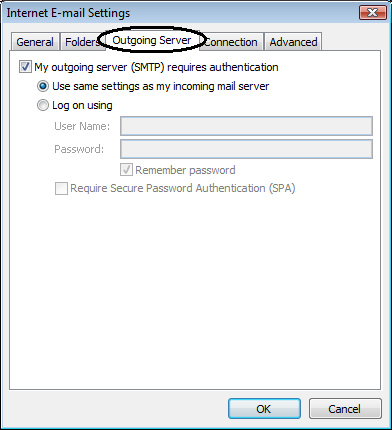 Note: if your connectivity to the internet is DSL with SW Bell or AT&T you will have to contact them directly for special instructions for the outgoing SMTP server settings! 6. Select the Outgoing Server tab. 6A. Select the Advanced tab. The "Add New E-mail Account" window should now be displayed again. Select "Next" and then "OK" in the "Microsoft Office Outlook" window warning that the root folder path has changed. Now click "Finish" on the following window Congratulation window. 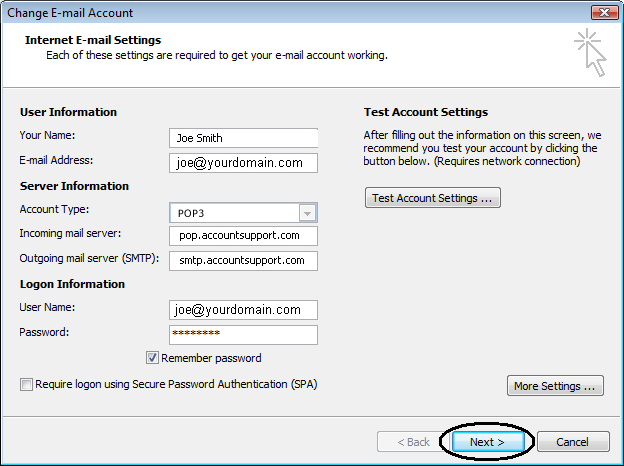 Your E-mail account should now be successfully setup. Your new mail will be shown in the left side panel under the "Inbox" folder. 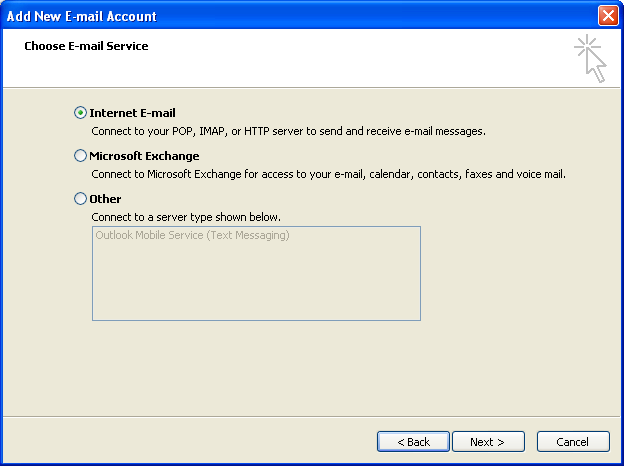 Alternate for Email is our online Web Mail which can be checked 24/7 from any computer!